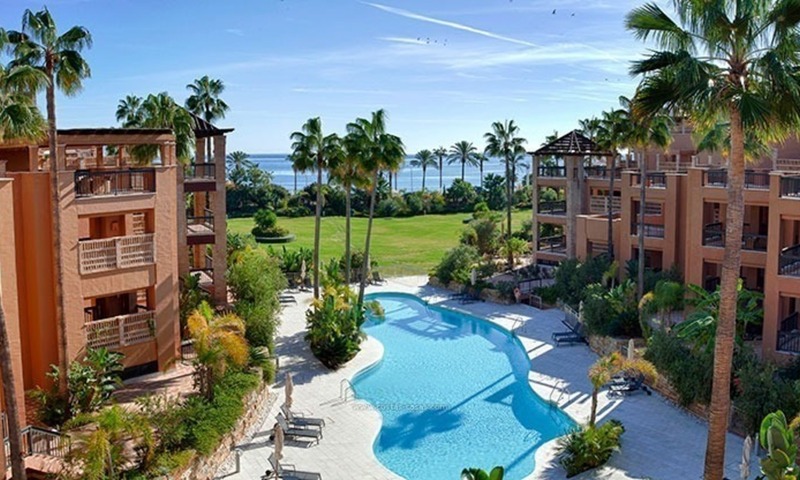 For Sale: Beachfront Luxury Apartments in San Pedro - Marbella. Opportunity: 3 bedroom apartment! 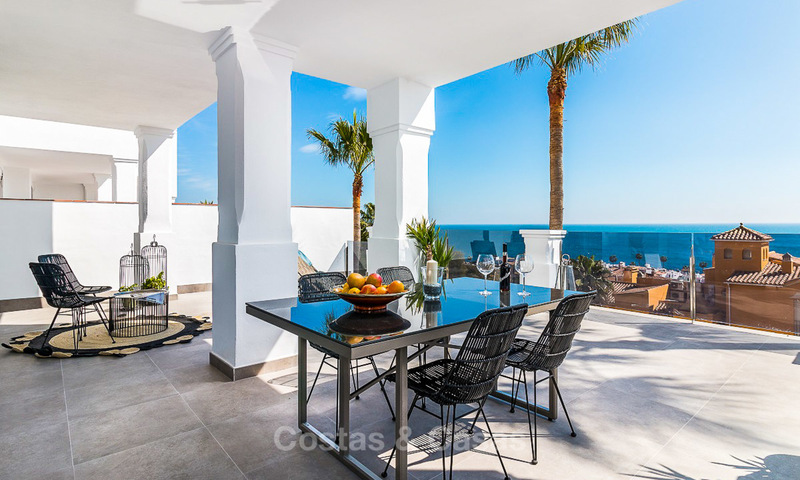 These first line beach apartments are located directly alongside Marbella’s famed beachside walkway. This promenade connects downtown Marbella to swanky Puerto Banús. The apartments are within walking distance of the new boulevard being finished now in San Pedro. REDUCED IN PRICE. Prestigious beachside location. Walking distance to all amenities, beach clubs, restaurants… Facing south / southwest. 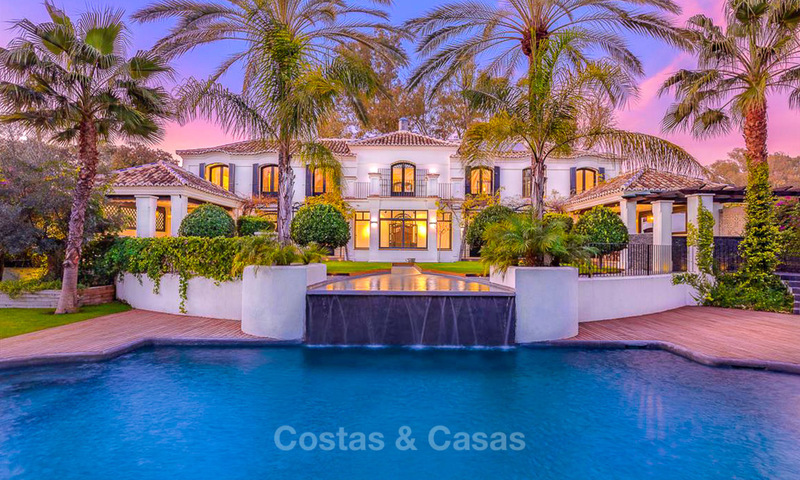 Very spacious villa with ample terraces and gardens. Frontline beach location, adjacent to the marina of Cabopino. 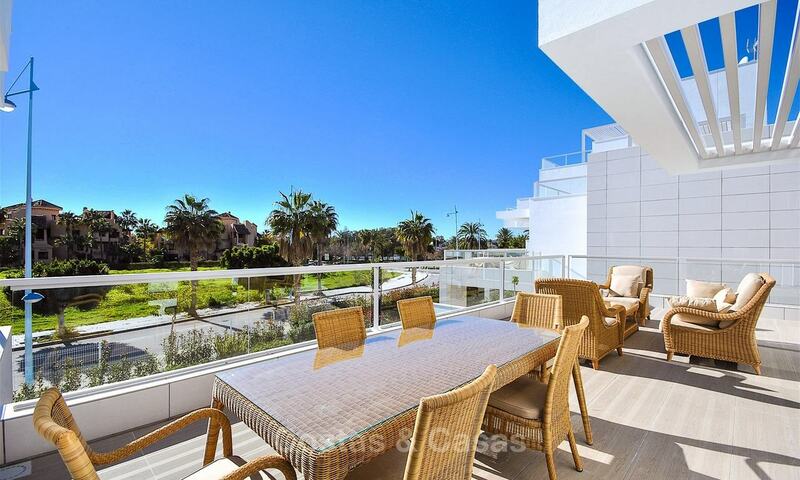 Very spacious duplex apartment with ample terraces and sitting areas. Direct access to the beach. In a high-end beachfront complex with 24h security. 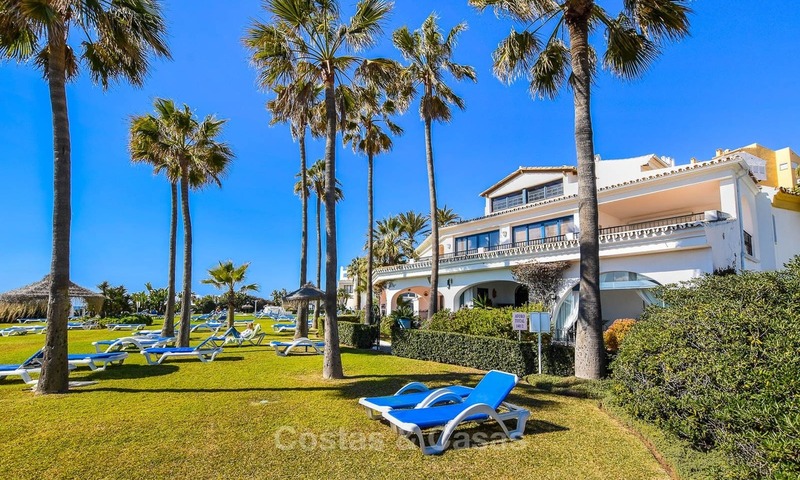 Walking distance to Puerto Banus, plenty of beach restaurants and some amenities. Very spacious, spread over 2 floors with ample terraces. South-west orientation. In a natural enclave yet close to everything. Tranquillity and privacy. Fantastic panoramic sea views. 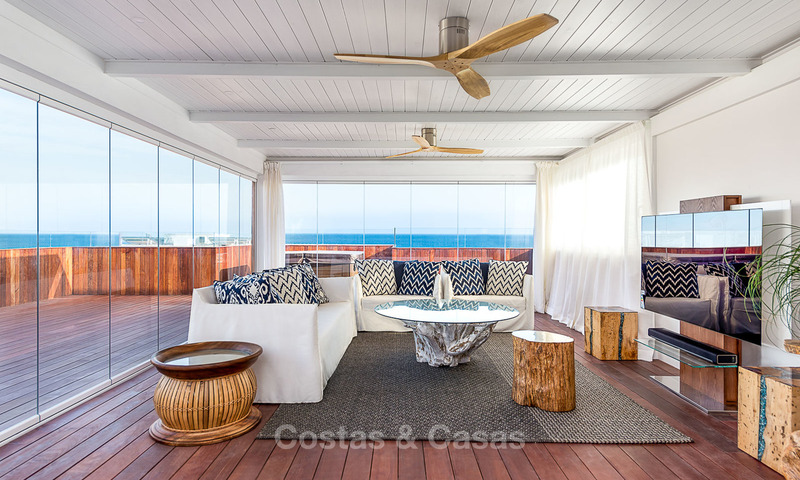 Very spacious homes, fusion of avant-garde design with some Andalusian charm. 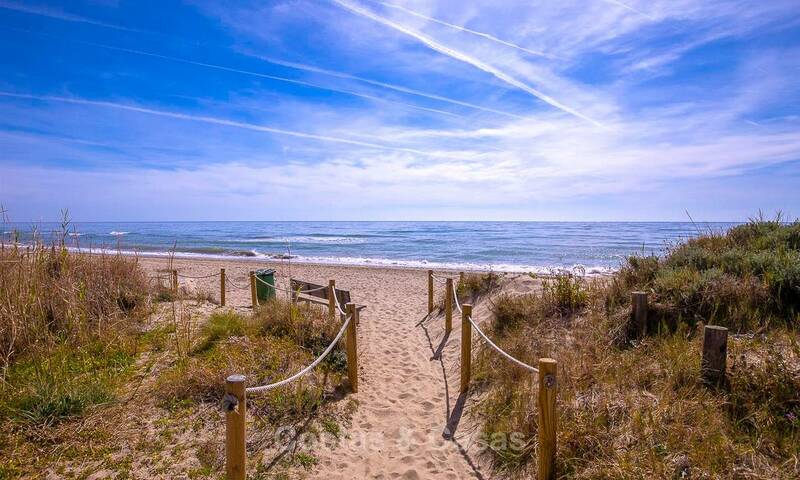 Unbeatable location: beach side Golden Mile, Marbella. Walking distance to the beach, amenities, bars and beach clubs. Fully renovated to modern standards with great attention to detail. In Manilva, just 200 m away from the beach. Part of a wellness complex with gym, sauna, several pools. Spacious luxury apartments in contemporary style. Open sea views. Ready to move in. Brand new, modern style duplex penthouse. Walking distance to almost everything. Quiet and clean beach side urbanisation. Huge terrace spaces with room for expansion. 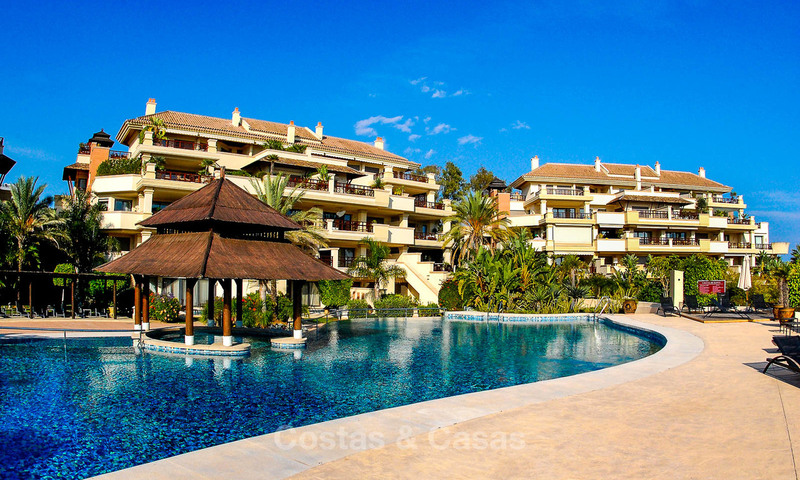 In a prestigious frontline beach complex, close to the best beaches of Marbella. Amazing sea views. Gated urbanisation with 24h security. Spacious home with excellent potential to expand. 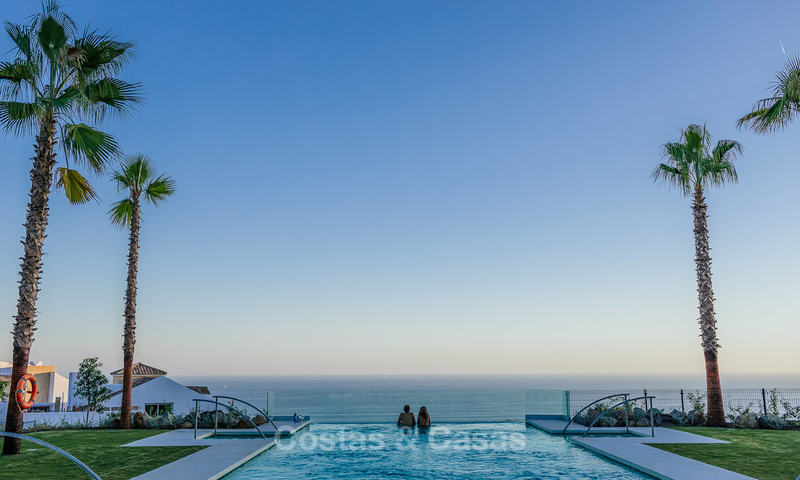 Exceptional location: second line beach in Puente Romano, Golden Mile. Panoramic sea views from the upper floors. 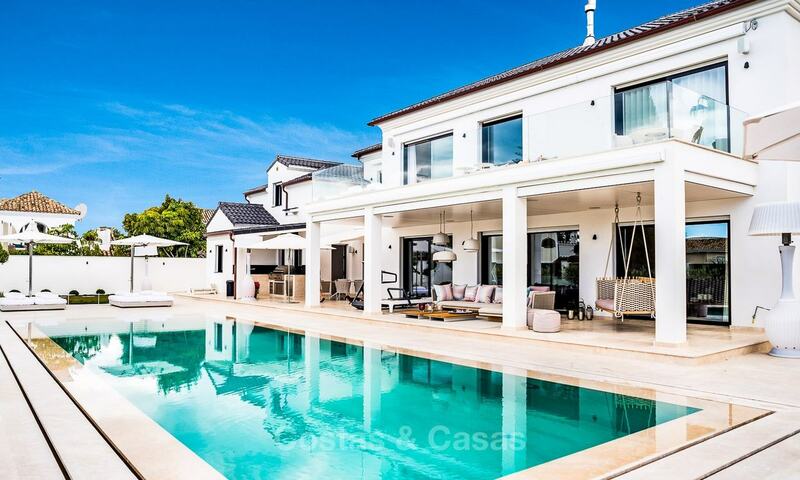 Fully renovated luxury villa.